Herbs are easy to grow, and there is room for a few in everyone’s garden. If you don’t have a suitable garden plot, they will grow happily in containers. Most herbs grow best in full sun. 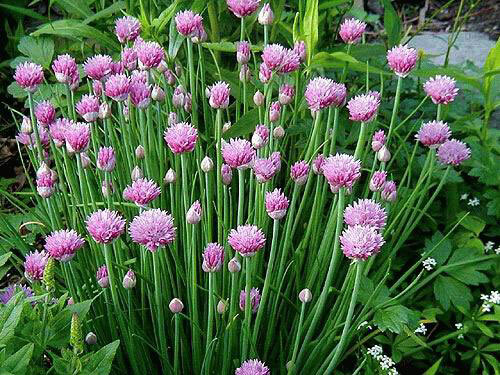 Chives: Chives are perennial. They are used mainly for flavoring and garnishing when a mild onion flavor is desired. Add chives at the end of cooking to maintain the best flavor. Snip fresh leaves as a garnish or for flavor in egg dishes, salads, potatoes, sauces, and soups. Dill: Dill is an annual. It is a cooling and aromatic herb. Its leaves are used to flavor egg dishes, fish and seafood, rice, potatoes, soups and lamb stews. Sprigs are added to pickles and vinegars. It does not dominate the flavor of food but instead enhances it. The seeds are reminiscent of caraway and are used as a condiment, flavoring, and pickling spice. Summer Savory: Summer Savory is a perennial. It is a good seasoning for peas, cabbage, stuffing, and meats, and it is a common ingredient in salami. The flavor is hot and peppery; so use it sparingly in salads. Use it in place of salt and pepper; it blends well with and enhances other flavors. Summer savory is also known as the bean herb and is often added to bean dishes to improve their digestibility and prevent flatulence. Thyme: Thyme is a perennial. It has a strong but pleasantly clove-like flavor. Use the leaves sparingly in soups, marinades, vegetables, stews, sauces, and stuffings and infused in oils or vinegars. It retains its flavor best in foods that are cooked slowly. Oregano: Oregano is an annual. It is a pungent herb often used in Italian, Greek, and Mexican cooking, usually as a dried seasoning. Its flavor and aroma are similar to those of marjoram but stronger. Use with pizza, chili, cabbage, green beans, pasta, meats, sausages, fish, stuffings, egg dishes, cheeses, and vegetables. Use it fresh in salads and also to flavor oils and vinegars. Parsley: Parsley is a biennial, but usually grown as an annual. Despite its mild taste, parsley packs a nutritional wallop, loaded with vitamin C, iron, calcium, and beta-carotene. The flat leaf is slightly sweeter than the curly leaf. 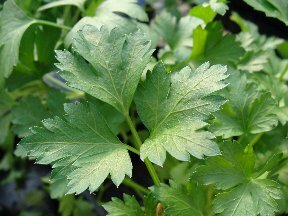 Parsley is added in quantity to a variety of dishes, from soups and stews to salads and vegetables. For best flavor, add parsley to dishes toward the end of the cooking time. It is best fresh rather than dried. Cilantro: Cilantro is an annual. Some people dislike cilantro’s pungent scent and find it soapy tasting, but others are passionate about the bold, tangy flavor, which is sage-like with citrus overtones. Use the fresh leaves in salsa, salads, soups, and sauces. The whole or ground seeds are used in baked goods and beverages and with sausages, vegetables, and curries.